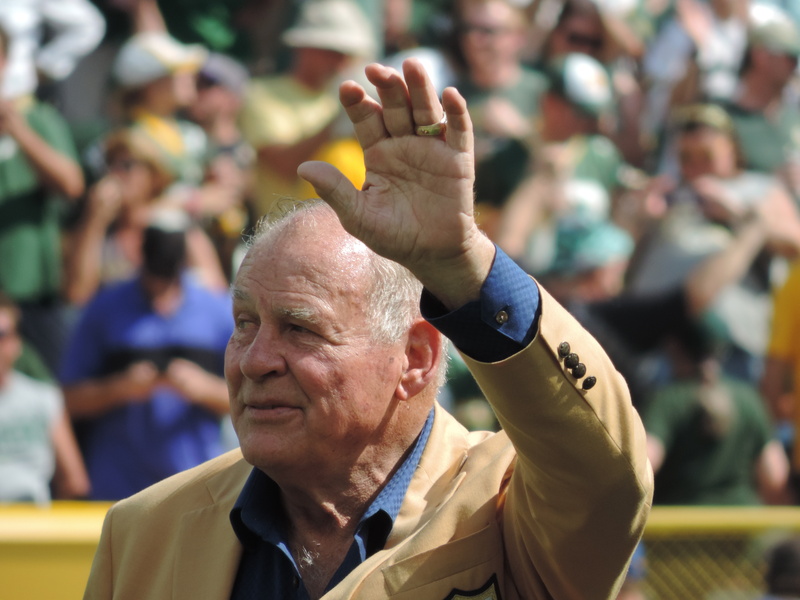 NFL Pro Football Hall of Famer Jerry Kramer saw his name unveiled on the Lambeau Field façade on Sunday, becoming the 25th member of the Green Bay Packers organization to do so. The 82-year-old Kramer also was presented with his Pro Football Hall of Fame Ring of Excellence during the halftime ceremony. Kramer was inducted into the Pro Football Hall of Fame this past summer after playing all 11 of his NFL seasons with the Packers, winning five NFL titles. The long wait was worth it for Kramer, who was a finalist 10 times. The five-time All-Pro is best known for his block allowing quarterback Bart Starr to score the game-winning touchdown in the 1967 Ice Bowl at Lambeau Field.